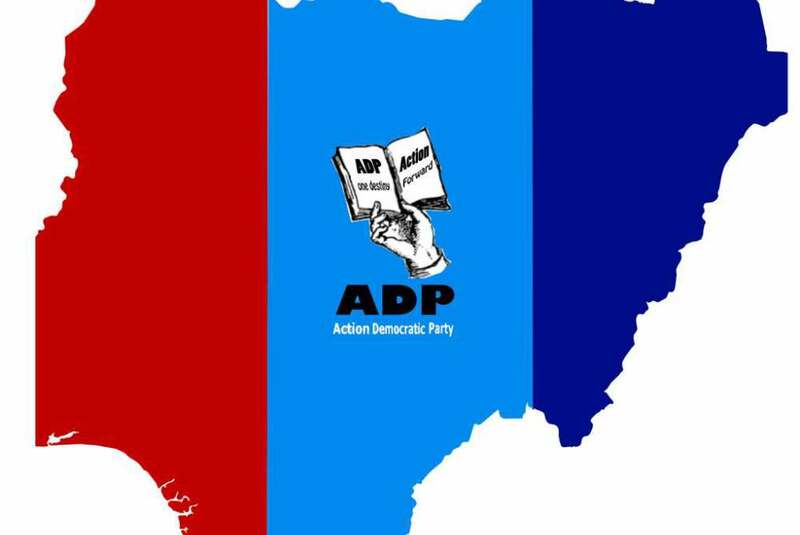 The Action Democratic Party (ADP) has said that Nigeria is likely to collapse if the All Progressive Congress (APC) government led by President Buhari returns to power in 2019. “The recently released report by the National Bureau of Statistics (NBS) where over 10 million Nigerians have lost their jobs since 2015 is a deal breaker for a government that promised Nigerians 3 million jobs a year. “We now have an unemployment rate of 18.7% even though some claim that it could be more the party said. This is just in less than three years of this APC government and is a clear pointer to the danger that a Buhari return poses. The impact of Buhari’s maladministration is terribly telling on the citizens,” Adelaja noted. The party stressed further that Nigerians must obtain their permanent voters’ cards to vote out Buhari in 2019. Adelaja urged citizens not to allow rigging and ensure that their votes count. He said the party is aware of alleged plans by APC to use security forces to intimidate voters and rig the 2019 elections, stating that the party is ready to sensitise Nigerians on the danger ahead if Buhari should want to foist himself on the country beyond 2019. However, the party said it is “battle ready to thwart all the plans of the president” but requires the support of well meaning Nigerians. Adelaja said that ADP is the only party with clean and formidable structures capable of defeating Buhari in 2019. “The party also expresses concern that since Buhari took over power as the President, the bloodletting that has followed has been mind boggling. “Tragedies such as the Agatu massacre, Southern Kaduna massacre, killings and maiming by Fulani herdsmen in different parts of the country, IPOB massacre, Shiites massacre and Rann murders where over 300 innocent Nigerians were bombed “accidentally” and others have been alarming. As regards the documentary of the president being aired, Adelaja said, “It is now very clear that Buhari is inhumane; because even in the midst of the confusion and failures of his government, his aides are trying to convince Nigerians that he has a ‘human side’ through the TV documentary. “(This is) a documentary that is being aired even as citizens slept in the petrol stations on Christmas day in a bid to buy the product. ADP said apart from all the “bloodletting happening under his nose”, Buhari is the president who has jacked up petrol prices by a higher margin than any other Nigerian president throughout history. The party said that the era of having a president who “fraudulently” doubles as the petroleum minister but doesn’t have the common decency to address the suffering citizens he supposedly governs, will come to an end soon. ADP urges Buhari to heed warnings from notable Nigerians who have been prevailing on him not to seek reelection in 2019, that the same citizens who voted for him overwemingly in 2015 are now against him, that he should retire peacefully back to his country home in Daura. The party reiterated its committement to put forward a credible candidate as Buhari’s replacement in 2019, stating that ADP was formed as a credible alternative, the third force Nigerians have been waiting for to address the agitation and all the sufferings the past governments including the sixteen years of corruption under PDP has caused the innocent Nigerians.